I kicked September off with a trip to California! *If you follow me on Instagram, you would have seen all the behind-the-scenes of each of these activities over in my Stories… so *hint hint* to follow me there if you don’t already. But here’s a quick recap for ya if you missed my Stories. At the very beginning of September, I hung out in Venice Beach, California for a few days to meet with a videographer. I’m super excited/scared to see the finished product of my story captured on film. I sometimes get the “vulnerability hangover” just at the thought of this video being out there for you to see… but then, I come back to the fact that it could help answer a lot of these questions that I don’t currently answer very well. After the shoot (exhausting, btw – all the respect to models and actors), I hung out with my family in White Rock, BC, Canada for a few days. Then, it was back to Toronto to prep for TWO live masterclasses that I wanted to host. I’ve held this particular masterclass before, but I wanted to do it live again to get some solid feedback and to understand if my class and offer were still relevant to my audience. P.S. if you’re EVER looking for feedback on an idea, program or course you want to offer… there’s nothing like running a live class or webinar to understand your audience. You’ll gain a ton of insights just based on the number of signups you get, the number of people who show up live, the questions you get while you’re live, and if anyone yells “SHUTTUP I WANT IT” at you when you present your free or paid offer. Like a bozo, however, I scheduled the very last live class on the DAY I was leaving for Holland. Stress-case, much? It’s like I ask for it. But I’m proud to say that I pulled off both live classes, even amidst potential tech hiccups, and got tons of great feedback from my audience who participated. Then, I was off to Holland with my boyfriend. But me? My work carried on throughout the trip. First, there were the wrap-up activities and emails to carry out from the masterclasses I held right before my trip. Then, I also JUST launched my Bali retreat… so during the whole trip, I was fully into those promos, jumping on calls and answering questions for people. I do have team members who help me out with aspects of my business, but I haven’t reached the point yet where things are FULLY taken care of when I step away from the biz. Most of that is on me – lack of organization and systems, which are all a work in progress at this point. 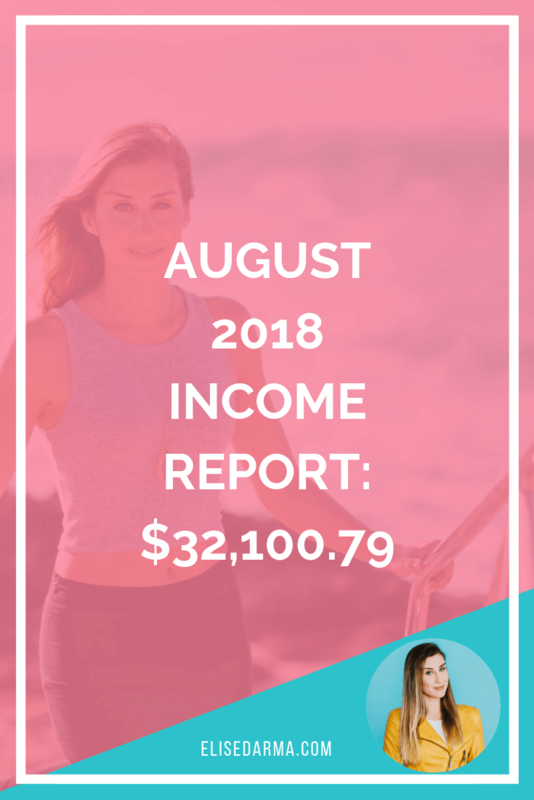 For now, let’s dive into the numbers for September! And I also booked quite a bit of travel this month too, increasing that expense to be higher than usual. My training and education has more or less been steady, as that includes the mastermind that I’m apart of, as well as two other programs that offer on-going training. 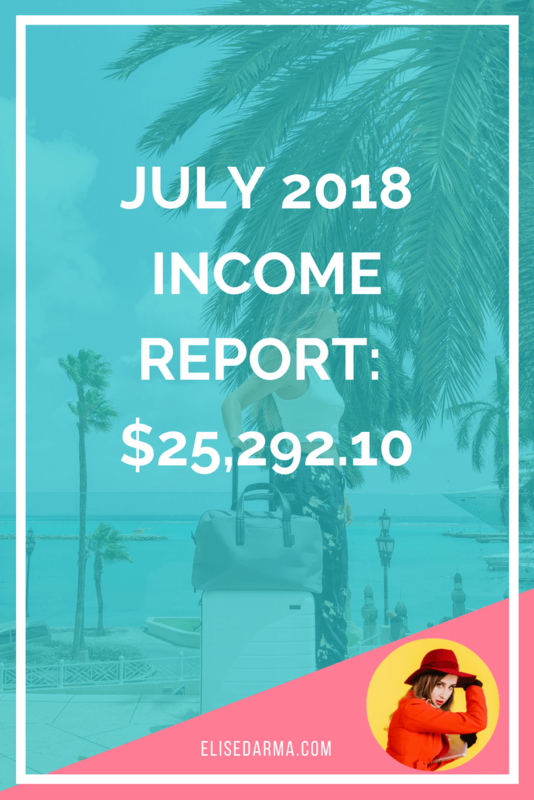 And when it comes to my advertising spend, I did not receive the same return on my ad spend as I did last month (it was about a 1.5X compared to the normal 2X) and I added in new ads too for the Bali retreat. The result? Less product sales in September compared to August sales. If you’re on the go a lot like me, plan your launches and travels accordingly… don’t try to stuff everything together, back-to-back, ALL THE TIME. Even though you know you’re a superstar and you *can* do it if you really want to…. give yourself a little grace and breathing room instead. All things will happen as they should. I’m hosting an intimate retreat in Ubud, Bali this coming February, 2019. It’ll be a small gathering of online entrepreneurs. At this time of writing, there are just 5 seats left. If you’re remotely interested in working remotely with me in Bali… I encourage you to tap the button below. If the page speaks to you, go ahead and submit an application to the retreat and you’ll hear from me soon!